8:1-2 – Daniel has a vision three years after the dream of chapter seven (approximately 550BC) while Belshazzar was still in Babylon (and his father, Nabonidus, still king of all Babylon). Perhaps the reason he repeats the “vision” three times is because it was so disturbing to him (8:27). 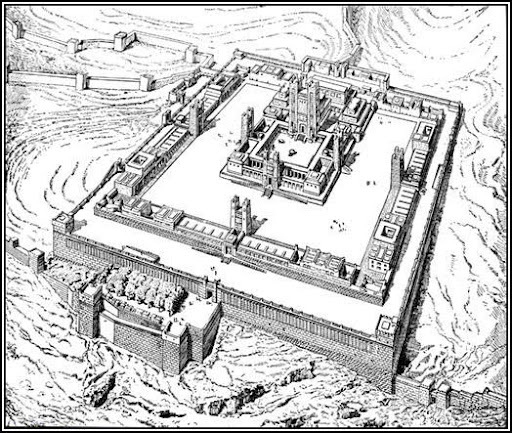 Daniel was taken (much like Ezekiel) in this vision to the “citadel of Susa” (another name for the “city”) located 220 miles east of Babylon and 150 miles north of the Persian Gulf. This city was later to become one of the royal cities of Medo-Persia acting as a winter palace (cf. Est.1:2; Neh.1:1; 2:1). The location is important as it had not yet become a location of prominence again having been destroyed some years before and the Medo-Persians having not yet rebuilt it for full use yet at the time of Daniel’s vision. 8:3-4 – A Ram Appears. The ram has two horns, one longer than the other, but the shorter growing longer than the former. According to one fourth century AD writer (Ammianus Marcellinus 10:1 – see Goldingay 208) the Medo-Persians always carried a golden head of a ram into battle with them as their symbol. More importantly this ram is later interpreted as Medo-Persia and it can be surmised that the initially longer horn was Media which was the initially predominant power of the two, until Persia became the more powerful. The charging of the ram is to the west, north and south following essentially the path of Medo-Persia in her conquests of Babylon, Lydia, Asia Minor, and Egypt. There appeared to be none that could stop this empire. In what sense might the kingdoms of this world all be understood as “animals” in light of the implications of verse 4? What does this suggest about all worldly kingdoms even though they be ordained of the LORD? 8:5-8 – A Goat Appears. This goat is described with a “prominent horn between his eyes” suggesting a single ruler and kingdom (Alexander the Great of Macedon as the interpretation of Dan.8:21 declares). The ram notably charges across the earth “without touching the ground” in a similar manner to the four-headed leapord-like creature of Dan.7:6 that suggested Greece as well. The enraged goat destroyed the ram and the two horns. However, the “large horn” before it could become even greater than it had already become was “broken off” and replaced by “four” (again the connection to Dan.7:6). Alexander’s untimely death off in Babylon (323BC) left his empire shattered and ten years later it was divided among four of his generals. 8:9-12 – A Small Horn. From among one of the four horns of the goat there appeared a small horn initially that grew in the south, east and toward the “Beautiful Land” (Heb. sebî : that is toward “Jerusalem”; cf. Dan.11: 16, 41; Jer.3:19; Eze.20:6, 15) On this occurring see 1 Macc.1 and 2 Macc.5-6. Who is this “small horn” that grew? History now tells us it was Antiochus IV Epiphanes (reigned 175BC-163BC) of Syria who assassinated the high priest Onias III in 170BC replacing him with another priest, ended the sacrifices and desecrated the temples setting up an altar to Zeus and sacrificing a swine on the altar in 167BC, that the temple was restored and dedicated December 14, 164BC (Hanukkah), while he died shortly thereafter in 163BC. But who are the “host of heaven” that he threw down to the earth and trampled? Certainly not angels. More likely this refers to the faithful of Israel (cf. Dan.12:3; see also Gen.15:5; 22:17; Deut.17:3; Enoch 46:7; Mt.13:43; Phil.2:15; Rev.12:4). Further, he set himself up against the “Prince” of the host…which suggests God Himself. This is done by his taking away the “daily sacrifice” (Heb. tāmîd “continually”; cf. Exo.29:38-42; Num.28:3-8) and desecrating the temple. Why would the LORD allow it to prosper in everything it did and truth to be “thrown to the ground”? Does the LORD have a greater purpose than the immediate or temporary? 8:13-14 – The Conversation. Daniel is meant to overhear a conversation among some of the “holy ones” (angels?). It seems that even they are concerned with the question of humanity, “How long?” (cf. Ps.6:3; Isa.6:11; Zech.1:12) The two speaking are concerned with how long it will take for all of the declared to happen to actually occur. The answer is declared to Daniel (though the LXX and Syriac read that the answer was given to the other holy one) that it will take “2300 evenings and mornings”. How should we understand this? As 1500 days or as 2300 days? The latter seems preferable given the manner in which Hebrew chooses to express the form for the numbers with mornings and evenings. Thus this would be about seven years time from beginning to end. In other words, there is a definite limit set to the wickedness of this king and his kingdom. 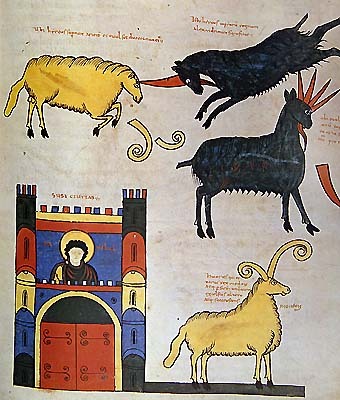 There is no reason to automatically assume that this “horn” is to be identified with the “horn” of chapter seven since that one belonged to the fourth beast (rather than the third which was Greece) and came from one of the four horns as opposed to that fourth beasts little horn that came up among the ten horns and displaced three. While both chapters speak of little horns, they are distinguished considerably even while both being arrogant and prideful and opposing the LORD and the saints. s more likely if one postulates the historical interpretation at all, but if one still holds to any future sense then there must be also something remaining of the actual “end” of this world and the reign of the LORD. There are actually four main views for interpreting Daniel 8: (1) Historical – All of Daniel 8 was historical and has been fulfilled; (2) Futuristic – All is still in the future; (3) Dual Fulfillment – The chapter referred both to what happened historically now and what will happen at the Second Coming; (4) Typological – The chapter refers to historical fulfillment but also things typical of that which points to the end of the age (see Walvoord 192-196). 8:19-27 – The Interpretation. Gabriel interprets the vision for Daniel (who earlier in the book had been the interpreter for others) and explains that the ram was Medo-Persia and the goat was Greece and specifically the horn was the first king of Greece. What Daniel has seen up to this point is over two hundred years in the future from his time. He is told that the kingdom of Greece will be divided into four kingdoms none of which will come close to the power of Greece and from one of those will be raised up a particular king (this actually foretells what will occur 350 years in the future). It is noteworthy that this king is raised up when wickedness is complete (cf. Gen.15:16; 1 Th.2:16). The king is noted for his appearance, intelligence, and unknown source of power; and though everything he does even against the LORD and the saints seems to succeed it will only be temporary until the LORD Himself destroys him. What does it mean for Daniel to “seal up” (Heb. sātam) the vision? This term when “applied to a book is not strictly ‘seal’ but rather ‘guard from use’ and therefore from misuse (cf. 12:3)” (Baldwin 179). Why should the LORD have told Daniel any of this and not saved such matters for another more near to the time of the incidents? What was the purpose of revealing this in the third year of Belshazzar? Also, does this not point ahead beyond Antiochus IV Epiphanes to one who like him will do much the same even as it would appear that almost similar sorts of calamity overtook Judea in the latter part of the first century (cf. Matt.24; Mark 13; Luke 21:5ff), but still point ahead to “the end”? 5:1-4 – The party that ended it all. Daniel 5 moves the book forward in time about thirty years after the events of chapter 4. The date can actually be fixed to October 12, 539BC (Miller 151) based upon certain historical records that give the date for the conquering of Babylon. However, Daniel had already seen the end of the kingdom of Babylon in several visions. He had a vision in the first year of Belshazzar’s reign (Dan.7) and again in the third year (Dan.8). Also, the prophets of Judah – Isaiah and Jeremiah – had spoken of the fall of Babylon even naming the conqueror of Babylon and then the deliverer of Israel as Cyrus the Persian (Isa.13:17-22; 21:1-10; 44:28-45:1; Jer.51:33-58). Belshazzar (Akkadian Bēl-šar-usur “Bel, protect the king”) is the “king” of Babylon serving while his father Nabonidus (the actual king) has remained away for the previous ten years at the city of Teima (Tayma) – perhaps due to his worship of the moon god Sin and failure to woship Marduk the chief god of Babylon, but there may have been other reasons for his absence as well including trying to keep control of the empire. As it turns out, Nabonidus had just been defeated on the 10th of October, 539BC at Sippar (just 50 miles north of Babylon) without battle by the Medo-Persians who had also defeated him at Opis (ANET 306). 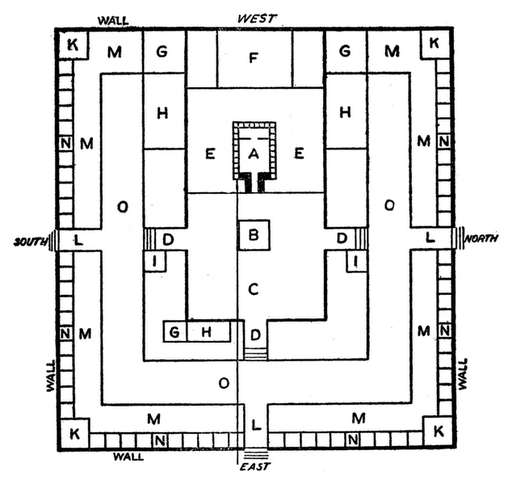 Nabonidus fled, but would be captured after the fall of Babylon days later. His son, Belshazzar determined for some reason to have a drunken party knowing that the Medo-Persian armies were all about Babylon and had conquered much of the empire already. Why would he do such a thing? Perhaps because he did not believe Babylon could fall since it was considered impregnable and had storehouses for a very long siege, or perhaps he was trying to gain bravado in the face of great adversity and wanted to demonstrate how fearless he was of the outside situation to all of his household and kingdom. The text of Daniel, however, makes no mention at all of the defeat of Nabonidus or of the Medo-Persians at the gates until the very end of the chapter when the party has finished and all is accomplished as it was foretold – and even then it is only of the latter. Belshazzar apparently determined to invite as many guests as possible to celebrate and the text suggests something more than that he drank wine “with” them, but that he drank wine “in front of, before” (Aram. qŏbēl) them. This suggests the idea that he may have been making something of a spectacle of himself in front of these nobles. It is also something quite unimaginable that he included among those invited all of his wives and concubines. The text also seems to suggest that he was inebriated and this contributed to his failure to even recognize the social mores of superstition against desecrating sacred objects belonging to other gods – even the objects of gods from conquered nations. Why was Nebuchadnezzar called his “father” if in fact Nabonidus was actually his father? All of the other records of history note that there had been several turn-overs of the kingdom since Nebuchadnezzar and Nabonidus himself had taken the throne, but was not a descendant of Nebuchadnezzar. The Aramaic (as the Hebrew also) for “father” carries the meaning of “grand-father,” “ancestor,” or may even suggest “successor” in some instances. It has been conjectured that the relation may have been through Belshazzar’s mother to Nebuchadnezzar making him a “son” and Nebuchadnezzar his “father” (on which see notes Dan.5:10ff). Another question that suggests itself is why he should choose on such a night to drink from the sacred vessels of the temple in Jerusalem? Why specifically use those items? Did he also drink from the vessels of the other conquered people’s gods on that night or was it only of Israel’s God? The Scriptures do not tell us, but they do tell us that the king made a point to do this specifically with the vessels from Jerusalem that Nebuchadnezzar had taken (Dan.1:2) and then to proceed to praise “the gods of gold and silver, of bronze, iron, wood and stone” (compare also the same phrase in the “Prayer of Nabonidus” in 4QOrNab). 5:5-9 – The writing on the wall and the fear of the king. Just as the praises were being uttered to the gods while drinking the wine, suddenly a human hand appeared and wrote on the plaster wall in a well lit place so the king could clearly see his judgment being written out. During excavations in the late 1800s and early 1900s a large throne room (56 feet wide and 173 feet long) was found with a plastered wall behind the throne wall likely being the very place Belshazzar held his last feast and saw the writing on the wall. The effect of the writing (it was on plaster and well lit so the king would not miss it) was immediate. He was terrified so thoroughly that he could not even stand as it were. He “called out” (lit. “called out with strength” or “loudly”) apparently frantic for an answer to the omen before him. Despite the promise of the gold chain and purple robe (signs of authority and blessing) and being made “the third highest ruler” (Aram. taltî) in Babylon (that is that he would become part of a triumvir), none of his wise men could read or interpret what was written. What would it mean to be “the third highest ruler” in this case? It seems likely he means that this person would be after himself who was after his father Nabonidus, but why someone might want such a position when the kingdom seems to be lost seems beyond Belshazzar to grasp. That those who were supposed to have the ability to understand and interpret such things were unable to do so only served to trouble him even more. 5:10-12 – The “queen” has an answer. Who is this “queen” and just what is her relationship to Belshazzar? Given that Daniel has already informed us that the wives and concubines of Belshazzar were all present at the party, it seems more likely this woman is not the “queen” of Belshazzar, but of Nabonidus. Thus she would be the “queen-mother” (see the NIV footnote for verse 10; on the place of the “queen” in the ancient Near East, Oppenheim 104). She may have been the daughter of Nebuchadnezzar (or the former wife as some suggest) and the wife of Nabonidus (see Josephus Ant.10.11.2; Miller 159-160). She seems to have heard of Daniel (perhaps from the times of Nebuchadnezzar) since she uses the same description found of him earlier (Dan.4:8, 9, 18) that he “has the spirit [Aram. rûah] of the holy [Aram. qodêsh] gods in him.” Further, she elaborates that in the time of Nebuchadnezzar, Daniel (who is in his eighties by the time of Belshazzar) was known to have “insight” (Aram. nahîrû) suggests illumination form God the source of all light (Dan.2:22), “intelligence” (Aram. śākletānû) indicates that Daniel not only possesses intellect or talent, but that he actually knows how to use it, and “wisdom” (Aram. hokmâ) “denotes in Daniel the supernatural intuition of an interpreter of dreams or omens, that wisdom which also belongs supremely to God (2:20)” (Goldingay 109-110). Daniel is actually attributed with having these attributes “like that of the gods,” something which set him above and beyond the others around him. The queen-mother is convinced that Daniel (Belteshazzar) was the one able to interpret this riddle of an omen for Belshazzar. 5:13-16 – The words of the king. Belshazzar calls for Daniel, but seems to regard Daniel in less high esteem than the queen-mother and refers to him immediately as one of the exiles. He also notably leaves off the “holiness” of the gods whose spirit was said to be in Daniel by the queen mother. Has he done this intentionally? He repeats that the others could not do for him what he needed and also repeats his promise of reward and honor if Daniel can read and interpret (Aram. peshar) the writing on the wall. He at least confesses that he has heard that Daniel can “solve difficult problems” (lit. “loosen knots” a metaphor concerning difficulties). 5:17-24 – The words of Daniel. Daniel does not wish the king long life as the queen-mother had done (Dan.5:10) and as he knows would be vain to do in this situation given the interpretation. He also renounces the gifts in exchange for delivering the message knowing that no message from God can be purchased (cf. 2 Nu.22:18; Ki.5:16). He begins with recounting the glories of Belshazzar’s “father” Nebuchadnezzar and then of Nebuchadnezzar’s fall from that status for a time because of his pride and arrogance. He reminds Belshazzar’s of God’s sovereignty over all of the kings and kingdoms of the world. Then he turns to Belshazzar and points to his pride and failure to humble himself and all of this in the midst of his drunken revelry with the vessels from the temple of Yahweh strewn about. He charges Belshazzar with having set himself “against the Lord (Aram. mārē’) of heaven” by profaning the holy, having others do likewise, and praising gods that “cannot see or hear or understand” (cf. Deut.4:28; Ps.115:4-8; 135:15-17; Hab.2:19; Rev.9:20). Above all, Belshazzar failed to honor and praise God who alone holds him and all in His hands. This is the explanation Daniel gives for the hand that wrote on the wall. 5:25-28 – The inscription of God. Exactly how the inscription was written is not clear. Was it written in Aramaic (and therefore without vowels) or Cuneiform (and therefore with vowels)? Was it written from right to left (as would have been normal) or up and down (as the rabbis propose)? Could it really not be “read” by the others of the court of Belshazzar and only by Daniel or does this have some other explanation for why he alone could “read” and “interpret” it? The words that were written were: mene (twice for emphasis? ), tekel, parsin. The explanations that have been given include a monetary/weight explanation where mene is the minah which was equal to 60 shekels, the tekel was the Aramaic form for shekel which was a small sum, and the parsin (Aramaic plural for halves of the shekel; the ‘u’ before parsin in some translations and in the NIV footnote is the conjunction “and” in Aramaic and so should not be included as part of what was written). However, the most reliable answer is actually the one Daniel himself provides which is that each of these terms is the Aramaic passive participles. Mene meaning “count, appoint, or destine,” tekel “numbering, weighing,” and parsin from the verb meaning to “broken in half, divided” but also making a play on the name of the Persians since likely this was all written in Aramaic there would have been no vowels and the Aramaic consonantal letters PRSN could work for both the verbal form and the name of the people who were at the gates. These words that were written are explained by Daniel with Aramaic perfect verbs emphasizing the completeness of what God had determined to do that very night. 5:29-31 – The end of Babylon and the beginning of Medo-Persia. Belshazzar still gave the command that Daniel should be rewarded and exalted despite the prophetic interpretation and denouncement that had just been given to him. Did he think to take Daniel down with him if Babylon fell? Or did he not think this could be fulfilled and thought to persuade his guests and family that he was still in control of everything? It is notable that whereas Daniel began in exile as a lowly youth in training from a lowly conquered nation in the ‘mighty and vast’ empire of the Babylonians…he has been raised to the rank of third in the empire by the age of about 80 and will see the end of the Babylonians himself and will continue to be given an exalted status after the fall of Babylon and the rise of Medo-Persia. Daniel records that it was on “that very night” Belshazzar was killed. The prophecy was fulfilled concerning him (though Daniel would later record what had been given to him years before as written in chapters 7-8 during the reign of the wicked and unrepentant Belshazzar). In other words, the account of Belshazzar tucked as it is in between the accounts of Nebuchadnezzar in chapter 4 and Darius in chapter 6 suggests a tale of three kings…their response to God and to the man of God: Daniel. Two will give glory to God…one will not. It creates a sort of chiasm (a poetic structure where God is exalted and praised explicitly in chapter 4 and 6 and carries out his judgment against the wicked king without explicit praise in chapter 5, but demonstrates his sovereignty over every king and kingdom). This also prepares us for the “little horn” that will come and utter blasphemies and exalt himself and ultimately be humbled by the LORD, but not before the end. gs for us that have proven vindicated by archeology after being questioned for some time. It has been recorded (though Daniel does not do so) that the Medo-Persian army diverted the Euphrates River into a marsh from entering Babylon and then waded through the lowered waters and under the walls, into the city without a fight. All of this was recorded to have happened on a night while the city was engaged in a drunken revelry (cf. Herodotus Histories 1.188-192; Xenophon Cyropaedia 7.5.1-34). If Babylon had not been in such a state, but had been prepared for an attack the Medo-Persians could never have taken the city in this manner, but as it was the only one said to have died that night was Belshazzar who was put to death. John Goldingay offers an intriguing note on the mention of Darius’ age being “sixty-two”: “The years attributed to Darius ‘sum up’ another aspect of the omen’s meaning: he is the actual person who brings its fulfillment upon Belshazzar” by being the sum of 60(mene)+1(tekel)+halves(parsin)=sixty-two (Goldingay 112). Thus the kingdom of Babylon passes to the Medo-Persians just as the LORD had told His prophets over 150 years before. The fall of Babylon had been prophesied and foretold even that it would be accomplished by His causing them to be in a drunken state while feasting (Jer.51:39, 57). At last, deliverance has come for Israel (though not finally for Daniel). 3:1-7 – The image of gold. Theodotian and the LXX provide an interesting time note that is not included in the Aramaic text found in our Bibles. They actually state that it was Nebuchadnezzar’s 18th year when what follows happened and that would place the incident of the fiery furnace in the very year of the destruction of Jerusalem and the Temple (cf. Jer.52:29). This made the trial of the three synonymous with the trial of the people of God and offered hope of salvation through the fires of Babylonian captivity. It is unclear whether Nebuchadnezzar made the image of himself or (more likely) of one of his gods – Marduk or Bel. The dimensions of the image or statue are irregular. In the Aramaic, it is sixty cubits high and six cubits wide (Walvoord pg.81 notes this as unintentionally the number of man; cf. Rev.13:18) with the NIV giving 90 feet high and 9 feet wide (appearing like an obelisk much like the Washington Monument). In accordance with this, the Babylonians used the Sumero-Akkadian sexagesimal system of measurement which seems to be the explanation for the dimensions being in sixes (we still use this system in telling time: 24 hours, 60 minutes, 60 seconds, etc). “To reduce [the dimensions of] the statue to something normal…[is]…to miss the point that the statue is extraordinary and monumental, even grotesque” (Goldingay 69; cf. Oppenheim 183-9). The place for the dedication was called Dura (meaning “a walled place”) and it was likely a location six miles southeast of Babylon where a massive pedestal of bricks has been discovered. Why would Nebuchadnezzar set up such an image after his disturbing dreams mentioned in the second chapter? Perhaps the dreams gave him the idea (see the comments of third century Church Father Hippolytus 2.15), but perhaps he simply did not care what the end would be and only obsessed over the present and the head of gold which represented himself. Everyone present was commanded to worship the image at the sound of the music playing to demonstrate their loyalty to the king and to the empire and his gods (cf. Rev.13). 3:8-15 – The three Hebrews who would not bow. Some of the “astrologers” (Aram. kaśdāyin) apparently driven by jealousy for the elevated status of the three friends of Daniel accused them before Nebuchadnezzar who otherwise would have been ignorant of their failure to bow and worship the image. With all of the leaders of Babylon that are named as called to the dedication (Aram. hānukkah) of the image why was Daniel not mentioned specifically? His presence at the royal court might explain his absence from this ceremony (see Dan.2:49; Miller 108) though there may be other explanations as well. The accusations brought against them are that they neither worship Nebuchadnezzar’s gods nor the image he has set up. They are given another chance or will be thrown immediately into a blazing furnace of fire. Could Shadrach, Meshach and Abed-nego have bowed on the outside and still remained true to God on the inside? (cf. 2 Kings 5:18-19; but see Deut.4:27-28; while gross idolatry occurred at that very time in the temple of Jerusalem according to Ezekiel 8, yet the three remained pure in far off Babylon where no one would have been the wiser). Note Nebuchadnezzar’s challenge that no god could save the three from his hand (compare the similar comments by Rabshekah in 2 Ki.18:33-35; Isa.36:17-20). In fact, in another place we discover that Nebuchadnezzar did kill two men – Zedekiah and Ahab – by throwing them into a fire (Jer.29:22). However, this account is not really a contest between Nebuchadnezzar and the three…it is a story about the one True God and His power and presence. This is not a “moral story” but it is a “display of a God who is faithful to His people even in captivity and is ever ready to deliver those who put their trust in Him. The contrast of the God of Israel to the idols of Babylon is a reminder that the god of this world, behind the Gentile dominion, is doomed to judgment at the hands of the sovereign God” (Walvoord 94). 3:16-23 – Thrown into the fire. The three offered no defense of themselves, but left everything to their God. “Formally, the existence of their God is expressed hypothetically; but neither they nor the reader actually question his existence as uncertain. Given that he exists, he is able to rescue…and he will rescue (that is a bold, un-evidenced wager parallel to those of 1:12-13; 2:14-16)” (Goldingay 73). According to the fourth century writer Jerome, “They indicate that it will not be a matter of God’s inability, but rather of His sovereign will if they do perish” (Miller 120). They would neither worship Nebuchadnezzar’s gods (which each of the three were named after) nor would they bow before the image outwardly. They stood upon the promise that their God would be with them even through the fire (cf. Exo.3:12; Isa.7:14; 43:1-3) and so in essence they were saying, “Death is preferable to apostasy” (Goldingay 74; note the confession of Job 13:15). John Walvoord proposes that “the blazing furnace” following the Aramaic should be read without the definite article “the” and therefore would have “the resultant meaning that He [God] could deliver them from any fiery furnace, not just the one immediately at hand” (89). Their denial of worship absolutely infuriated Nebuchadnezzar who had the furnace heated “seven times hotter” which suggests simply that it could not be hotter (on the use of seven times cf. Prov.24:16; 26:16). His rage (as often is the case) moved beyond reason and instead of a slow burn which would have proven more painful to the three, he instead chose to kill them more quickly. The heat of the fires seems to match the heat of his temper. He called for his strongest soldiers to throw them into the furnace, but this proved fatal to the soldiers. It appears that the three were thrown in through some hole in the top and then later the king saw them through some hole lower in the massive furnace. In the rush to punish the three they are not even stripped of their clothing as would have been normally done and so they were thrown into the fire with all their garments still on (though the exact translation of just what it was that the three Aramaic terms refer to remains unclear the significance is that they were thrown into the fire with clothes on and pulled out with their clothes not even singed or smelling of smoke let alone the any of their hairs singed, but the ropes were burned right off). At this point in the LXX the “Prayer of Azariah” and the “Song of the Three Hebrew Children” is inserted between Dan.2:23 and 2:24. The Rabbis have written that at the very moment the three were thrown into the fire Ezekiel was sent to restore the dead in the valley of dry bones…God was protecting and giving life (Sanhedrin Tractate, Rodkinson 279). all your works are true and your ways right, and all your judgments are true. 5 You have executed true judgments in all you have brought upon us and upon Jerusalem, the holy city of our ancestors; by a true judgment you have brought all this upon us because of our sins. 6 For we have sinned and broken your law in turning away from you; in all matters we have sinned grievously. 7 We have not obeyed your commandments, we have not kept them or done what you have commanded us for our own good. 8 So all that you have brought upon us, and all that you have done to us, you have done by a true judgment. 9 You have handed us over to our enemies, lawless and hateful rebels, and to an unjust king, the most wicked in all the world. 10 And now we cannot open our mouths; we, your servants who worship you, have become a shame and a reproach. 11 For your name’s sake do not give us up forever, and do not annul your covenant. 12 Do not withdraw your mercy from us, for the sake of Abraham your beloved and for the sake of your servant Isaac and Israel your holy one, 13 to whom you promised to multiply their descendants like the stars of heaven and like the sand on the shore of the sea. 14 For we, O Lord, have become fewer than any other nation, and are brought low this day in all the world because of our sins. 15 In our day we have no ruler, or prophet, or leader, no burnt offering, or sacrifice, or oblation, or incense, no place to make an offering before you and to find mercy. 16 Yet with a contrite heart and a humble spirit may we be accepted, 17 as though it were with burnt offerings of rams and bulls, or with tens of thousands of fat lambs; such may our sacrifice be in your sight today, and may we unreservedly follow you, for no shame will come to those who trust in you. 18 And now with all our heart we follow you; we fear you and seek your presence. 19 Do not put us to shame, but deal with us in your patience and in your abundant mercy. 20 Deliver us in accordance with your marvelous works, and bring glory to your name, O Lord.21 Let all who do harm to your servants be put to shame; let them be disgraced and deprived of all power, and let their strength be broken. 22 Let them know that you alone are the Lord God, glorious over the whole world.” 23 Now the king’s servants who threw them in kept stoking the furnace with naphtha, pitch, tow, and brushwood. 24 And the flames poured out above the furnace forty-nine cubits, 25 and spread out and burned those Chaldeans who were caught near the furnace. 26 But the angel of the Lord came down into the furnace to be with Azariah and his companions, and drove the fiery flame out of the furnace, 27 and made the inside of the furnace as though a moist wind were whistling through it. The fire did not touch them at all and caused them no pain or distress. rmed and walking around (and in the LXX they are actually singing!). Who exactly is the fourth one seen by Nebuchadnezzar in the fire who never emerges from the flames? Note the reference in Isaiah 43:1-3 about the LORD being with His people even through the fire. One who looks like “a son of the gods” (Aram. bar ’elāhin) or even “a divine being” is a far more likely rendering in English than the KJV’s “Son of God”. Nebuchadnezzar also refered to this fourth being as God’s “angel” (Aram. mal’ak) sent to care for His servants. What sort of transformation should this have made in him or did this make in him? His use of “the Most High God” is really not significant as it is other times spoken by those who were not of the faith of Israel (cf. Gen.14:19; Num.24:16; Isa.14:14). It is not that the king abandons his gods, but that he demanded that none blaspheme the God of the Jews under punishment of the very things he had declared he would do to those who failed to tell him his dreams and then interpret them (Dan.2:5). They were willing to give up their very lives or literally “yielded up their bodies” (and Theodotian adds “to the fire” which Paul adds to his letter to the Corinthians in 1 Cor.13:3) rather than deny their God total worship and trust. It was not a matter of Shadrach, Meshach and Abed-nego knowing how their lives would end. They simply knew that to trust the LORD meant that whatever happened He would be faithful and they must also be faithful because He was faithful. This story later was taken up by Mattathias to encourage his sons in revolt against the tyrant Antiochus Epiphanes in the second century (1 Maccabees 2:59) and also by the writer of the Hebrews concerning those who “quenched the fury of the flames” in their walk of faith without having yet received the reward they sought (Heb.11:34). Contrast the command of Deut.7:25 concerning what supposed to be done to idols with what was done to the three in this account. The conclusion of Nebuchadnezzar is indeed the conclusion of the book of Daniel: no other god can save in the way that the God of Israel saves.